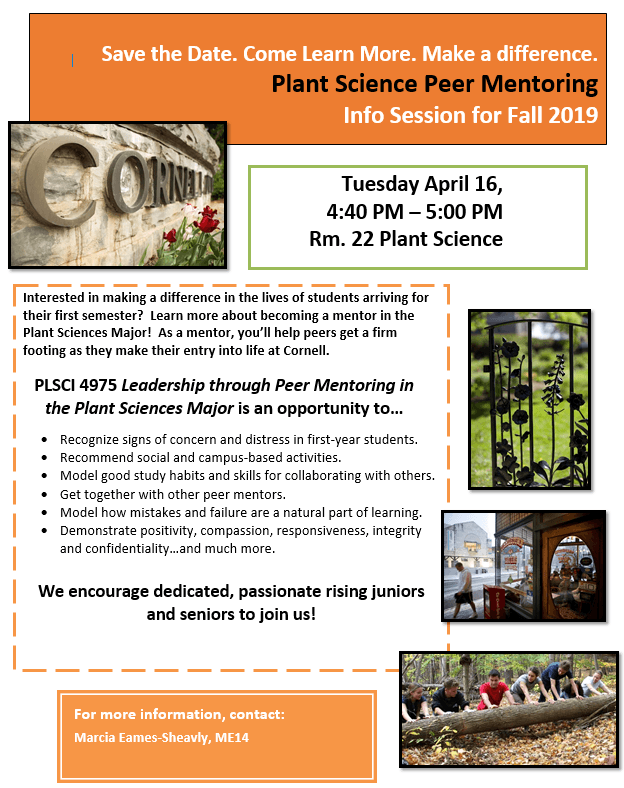 Plant Science Peer Mentors make a difference – learn how you can be a part! HomeundergraduatePlant Science Peer Mentors make a difference – learn how you can be a part! Interested helping new students make their transition to Cornell? Did your own adjustment to college life benefit from connections with older students? 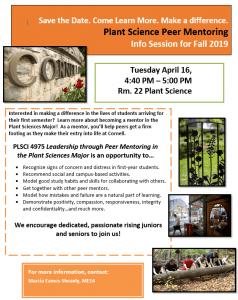 If so, the Plant Sciences Peer Mentoring Program may be for you! I can definitely say that it is not only shaping our new students, but by reflecting on ourselves, the mentors also undergo a transformation and we are able to grow even further. I really hope that this project continues and that more students are further involved in the upcoming years. Learn how you can participate in the Peer Mentoring Program at the information session to be held on Tuesday, April 16th 4:40 – 5:00 pm in G22 Plant Science. Contact Marcia Eames-Sheavly (me14) for more information.